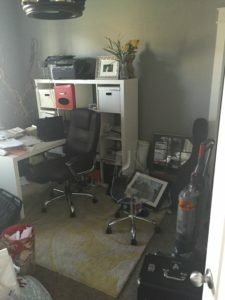 I realized most of my work was done at the kitchen table, couch or on the go because I didn’t have a clean tidy space to call my own. 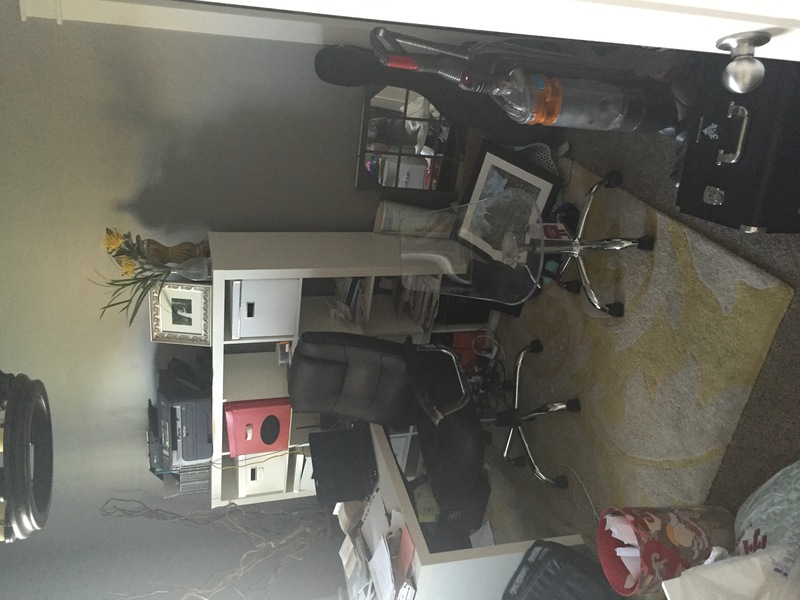 My husband, who also works from home, had our home office. It also became the dumping ground for all things that didn’t have a home. I had been wanting to create more videos and content for my fans but didn’t feel like I had a proper creative space to do those things let alone a place for my customers to visit when I did consultations. So, I decided to kick my husband out and give this room a makeover. 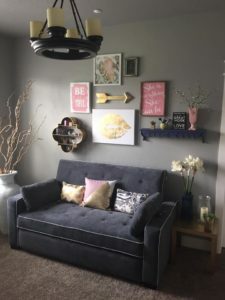 I wanted it to be inviting, inspiring and functional and I think it came together nicely. The couch offers a great place for my clients to sit during a consultations and also turns into a comfortable queen bed. This room can also double as a guest room . I moved my desk in front of the window so I have beautiful lighting for my videos. Its now a place I look forward to going into. My creativity always improves when I’m in a space I love. I hope this inspires you to make your space something that brings you joy. Want flawless looking skin instantly?